Welcome to the new Publisher experience where all app configurations have been consolidated into one interface. There is now a single Save button for everything. You can configure multiple sections at a time, and then save all of your work after. The save button will save all changes throughout all sections in the Publisher. 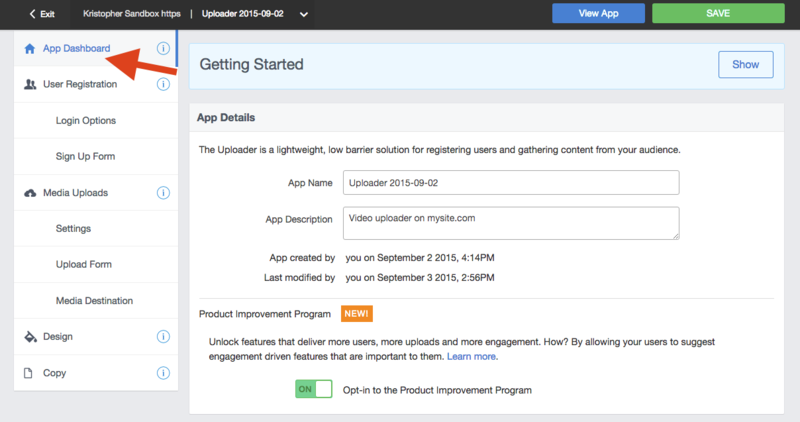 The App Dashboard is the first page you will encounter when using the new publisher. 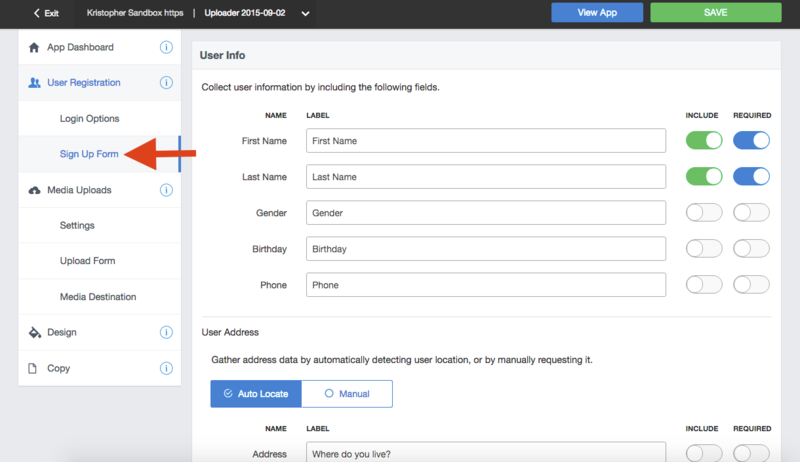 Here you will set your app name and description, as well as see an overview of your domain settings. 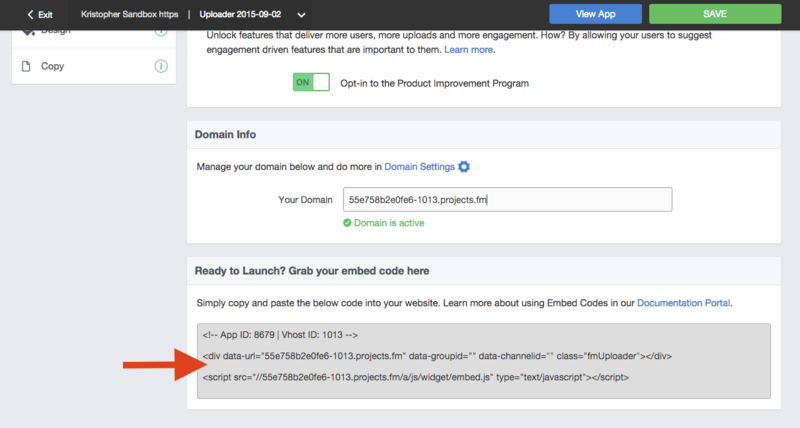 Most importantly, this is the area where you can grab your embed code for your app. Click View App to open the app in a new tab so you can use it. Using the left menu, navigate through all the options to configure your app. The Sign Up Form is where you can configure the registration form to capture all of the fields that you wish to collect. Create custom metadata and more here as well. 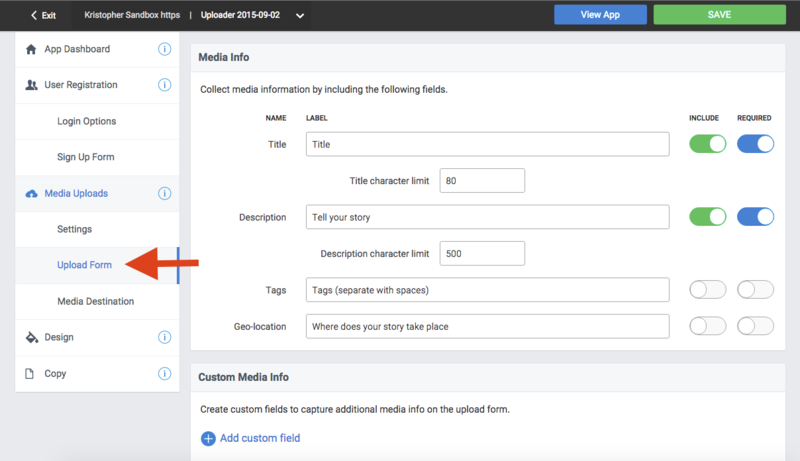 Configure the basic upload settings including allowed media file types and time restrictions if necessary. 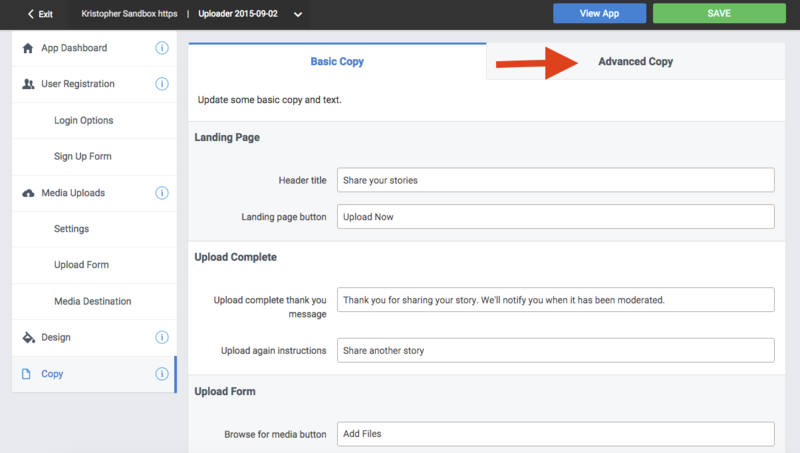 You now have access to all available copy for editing. Select the Advanced tab on the top right to see all available copy. 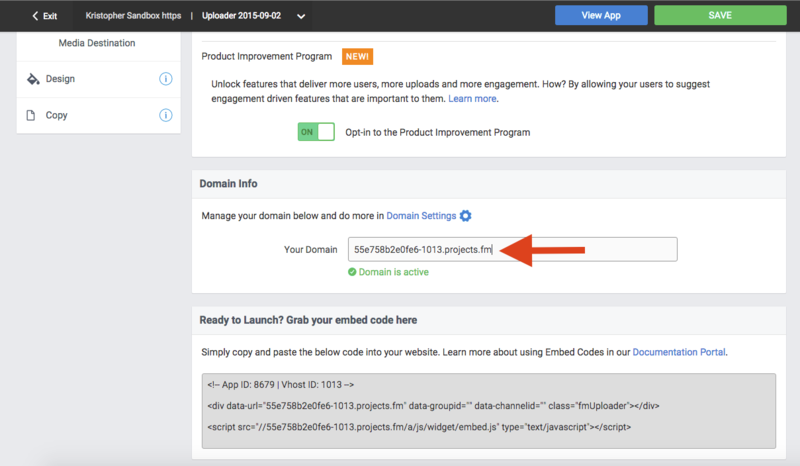 When your app is ready to go live, grab your embed code from your App Dashboard. If you need to change your domain to use a CNAME or Single Sign On, simply edit your domain on your Dashboard. 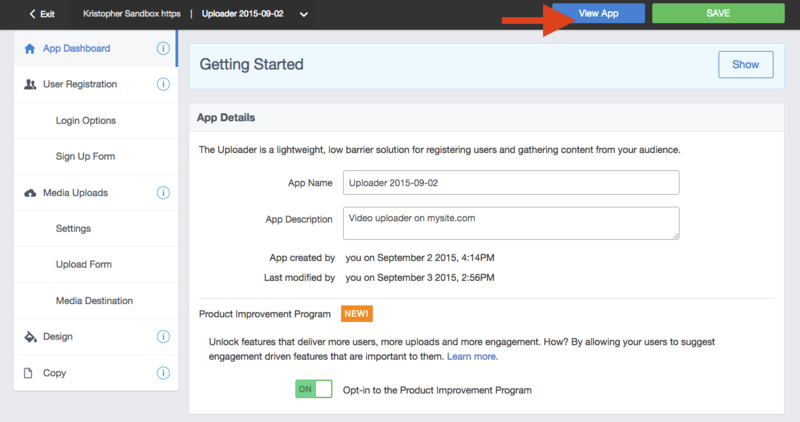 Be the first to comment on App Publisher Walkthrough.